#1. 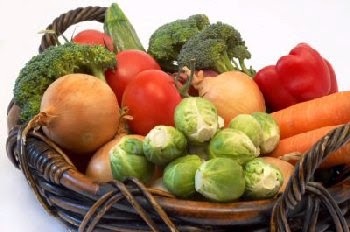 Eat your veggies - especially your favourite veggies - regularly. #2. Enjoy sports that get you outside. They're fun and they're good for you. #3. Stop worrying about what other people think about your choice of exercises. Just do them and have fun exercising. #4. Try new things that get you outside and enjoying life in the sun. #5. A little sunlight won't kill you. #6. Enjoy your desserts, but don't drown yourself in them. #8. 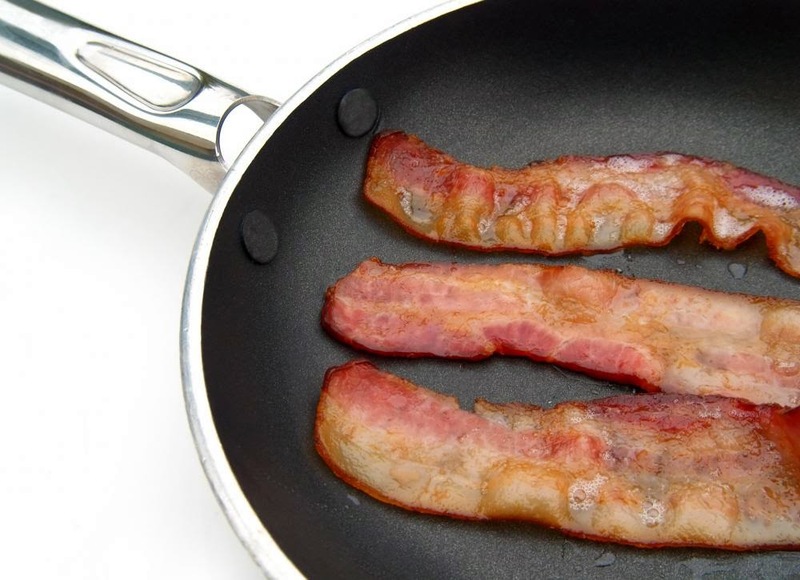 Being selfish and greedy with bacon will only make you lonely and fat. Sharing the bacon and keeping some in the fridge as leftovers, that is learning moderation. #9. Golf was a sport invented by drunk Scots. Love it or hate it. #10. Yoga will bring you more peace of mind and wellness of body. Don't diss it until you've tried it. #11. Too much stress is never good for you. Learn to relax and unwind doing things that keep you active and alert. #12. Spending time with family in the great outdoors is the best exercise a person can ask for. Fast twitch and slow twitch muscle fibers are used for different things. A martial artist who wants to be superfast, a sprinter who wants to be able to run 100 meters in under 10 seconds, or even a professional boxer would want to utilize their fast twitch muscle fibres. 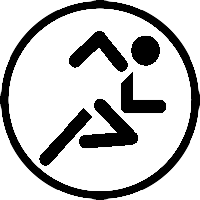 Likewise people doing a sustained activity that needs endurance - like a gymnast who needs to be able to hold a pose while suspended upside down, or an archer holding their bow steady without moving while they adjust their aim, or a weight lifter who needs to be able to lift a specified weight and then hold it for so many seconds in order for it to count as a new world record. Muscle is made up of bundles of individual muscle fibers called myocytes. Each myocyte contains many myofibrils, which are strands of proteins (actin and myosin) that can grab on to each other and pull. This shortens the muscle and causes muscle contraction - and it is the contraction of muscle fibres that allow us to do any number of physical activities. A normal person has roughly 50% of each type of muscle fiber, but athletes of various kinds can train their bodies to have a radically different percentage of each muscle fiber (eg. Bruce Lee, martial artist and movie star, had a significantly higher ratio of fast twitch muscle fibers). Type I, Slow twitch muscle fibers. The slow muscle fibers are more efficient at using oxygen to generate more fuel (known as ATP) for continuous, extended muscle contractions over a long time. They fire more slowly than fast twitch fibers and can go for a long time before they fatigue. Therefore, slow twitch fibers are great at helping athletes run marathons or bicycle for hours - and even more for activities that require just holding the same position, like gymnasts. Type II, Fast twitch muscle fibers, which itself can be further categorized into Type IIa and Type IIb fibers. Fast twitch fibers are much better at generating short bursts of strength or speed than slow muscles. However, they fatigue more quickly and use energy at a faster rate. Fast twitch fibers generally produce the same amount of force per contraction as slow muscle fibers, but they get their name because they are able to fire more rapidly. Having more fast twitch fibers can be an asset to anyone who primarily wants speed and isn`t worried about endurance. Type IIa fast twitch muscle fibers are also known as intermediate fast-twitch fibers. They can use both aerobic and anaerobic metabolism almost equally to create energy. In this way, they are a combination of Type I and Type II muscle fibers. They are still faster than slow twitch, but not as fast as Type IIb. Type IIb fast twitch fibers only use anaerobic metabolism to create energy and are the "classic fast twitch muscle fibers" that excel at producing quick, powerful bursts of speed. 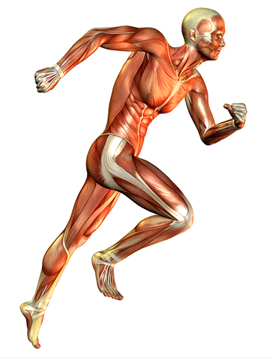 These muscle fibers have the highest rate of contraction (rapid firing) of all the muscle fiber types, but it also has a much faster rate of fatigue and can't last as long before it needs rest. We all have different amounts of fast vs slow twitch muscle fibers, and these in turn effect our athletic ability in different activities. 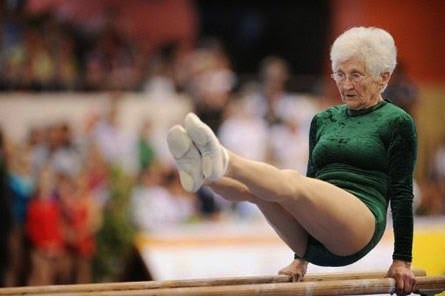 Some of us might make really good gymnasts, but would be horribly slow when sprinting (and vice versa). Athletes typically get into sports that match their muscle makeup, but it is not genetics that is the biggest deciding factor, it is the types of previous exercises that determine which kind of muscles a person grows. For example a person could be born to family of several generations of gymnasts, but if they practiced sprinting instead for many years the type of muscle fibers they build would be different. Your body adjusts the ratio over the longer term based on what types of muscle fibers you are using most. How much is the ratio you might ask? Well, studies have shown that Olympic sprinters typically have approx. 80% fast twitch fibers - while people who do sports that require lots of endurance have about 80% slow twitch fibers. So the ratio of muscle fibers can vary quite wildly by up to 30% plus or minus. Our bodies still need a ratio in order to perform every day activities. So even though 100% fast twitch would be great for sprinting, by the time the race is over the person would probably be too exhausted to even walk for a period of time. We still need both types of muscle fibers just to perform our daily routine. Studies also have shown that different types of muscle fibers can also simply change into other types over the course of training. In theory (no evidence of this yet) Type IIa fibers might be an intermediary stage of muscle fibers that are transforming from one type into the other. Not a lot of research has been done into whether muscle fibers morph back and forth over the longer term. What is known however is that people who train for endurance or speed gain what they are looking for over the longer term. It really is simply a matter of regular training, good diet, and taking good care of themselves to prevent injuries (because an injury can result in a loss of muscle tone if they cannot exercise during a long period of time). There are many factors that make a great athlete (mental preparedness, proper nutrition and hydration, getting enough rest, and having appropriate equipment and conditioning). Different types of muscle fibers is just one factor. Some sports require a combination of both fast and slow twitch fibers, so having more of one is not necessarily beneficial. eg. A football player would want both speed and endurance. Speed for when they need to be running in a hurry, but also endurance because they will be playing for longer periods of time - so they need muscle fibers that can do both. Step One - Eat healthy. Step Two - Exercise daily. We all KNOW these two steps, and yet people are often looking for shortcuts and excuses to not do either one or both of these two steps. How you accomplish steps one and two are largely up to the individual. You might listen and read to the advice of others, but in the end it is the individual who decides to take action in whatever manner they see fit. Or lack of action as is often the case. There are many different ways to eat healthy. Low or moderate carb diets. Low fat, low sugar diets. And likewise there are many ways to exercise. Going to the gym daily. Some people won't even do them daily, they might only be exercising once, twice or three times per week and still be doing well physically because they are at least exercising regularly and they are eating healthy. The problem I find is for people who get easily discouraged, who cannot find an activity they really like, who think they don't have the time to exercise (and yet have time to watch TV or answer messages on Facebook), and who have difficulty controlling their eating habits. My advice is to not despair. Do not give up. Do not get discouraged. Stay focused. 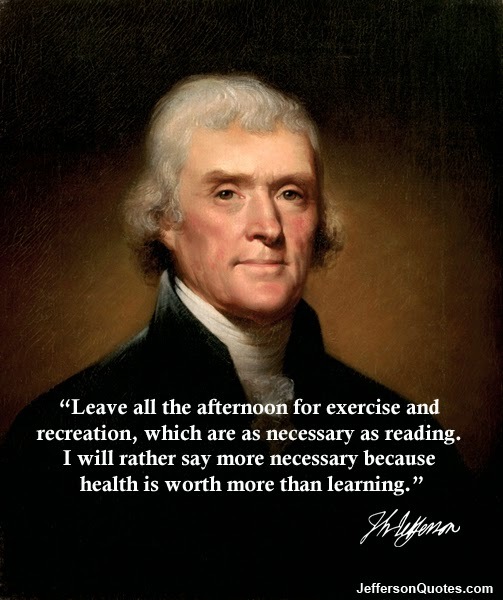 Keep exercising. Keep eating healthy. How you do it is not the problem, that you keep doing it is the most important factor. If a diet / exercise plan doesn't seem to be working for you, the answer is not to stop using it. The answer is to either keep doing it until it does work, or to try a different diet and exercise plan that does work. Don't just stop altogether. Change it until it works. And don't cheat on your diet / skip exercise sessions and expect to lose weight. Cheating on your plan and then blaming the plan is not the solution. You only have yourself to blame if you skip exercising / cheat on your diet. And don't stop just because you cheated on your plan either. Just get right back at it, keep working at it. Giving up because you made one or two mistakes isn't going to solve your problem. You need to stay focused. Some people like to claim that weight loss is 90% exercise and 10% diet, or 10% exercise and 90% diet, or whatever combination they say it is. They're all wrong. What it really is is 10% diet, 10% exercise and 80% willpower. Willpower to keep going. To never give up. To stay focused. To keep doing it even in the face of mistakes. If you want be a more awesome and amazing person - and this applies to having an awesome and amazing body - then you need to start doing and practicing more awesome and amazing things with your body. You need to practice jogging long distances if you want to run a marathon. 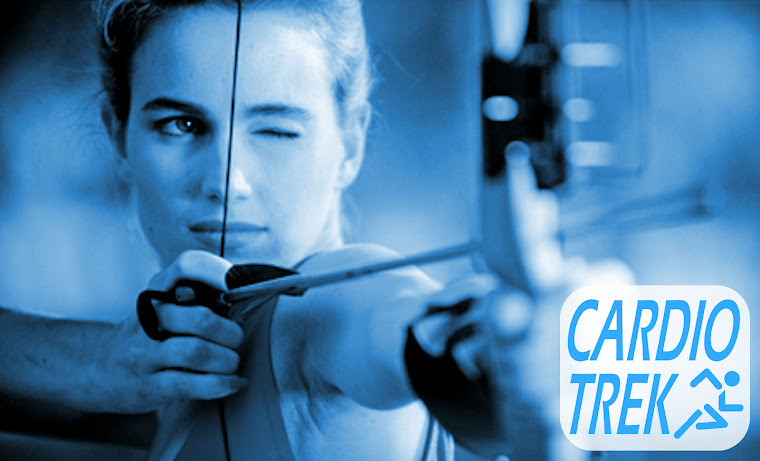 You need to practice archery regularly if you want to be able to shoot a moving target. You need to practice yoga and stretching / flexibility exercises if you want to be amazingly flexible and have amazing posture. You need to practice your tennis swing if you want to be an awesome tennis player. Basically anything amazing that you want to do is more or less achievable, but you need to practice. Don't let weight or age or even disability stop you. 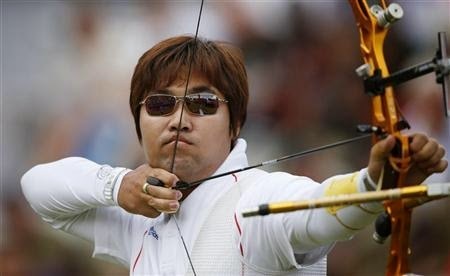 During the last summer Olympics a Korean archer competed who was legally blind (he can only see blurry colours) but his disability did not stop him from competing in a sport that requires visual acuity. So if he can do it, what is stopping you? Lack of time? Just make the time. Physical ability? Take the time to improve your physical ability. Disability? You can learn to overcome disability. You may never be great, but you will still be awesome. "Hello! How do I get rock hard abs when my wife keeps feeding me such tasty (and unhealthy) food all the time? You are preaching to the choir buddy. If it is not the wife doing it, then it is often your girlfriend, your mother, your mother-in-law, or even your grandmother - they all seem to want to 'fatten you up' on purpose, as if that would somehow be healthier in their mind's eye. There are a number of ways you can get those "rock hard abs" you are dreaming of, but it is going to require a lot of work, a great deal of self-control, and a few dieting tips never hurt either. Here are some tips that will help you. #1a. If your spouse is spoon feeding you things you know to be unhealthy start limiting your portion sizes. Yes, okay, eat some of their cooking - it tastes good and it is polite - but don't pig out on it. Same thing goes for anything being pushed at you from in-laws. Case in Point - This past weekend I went to Catholic baptism and the party afterwards - which had a great deal of food. One of the relatives apparently thought I needed more food and brought me not 1, but 2 beers to quench my thirst - and he brought me an extra helping of pasta without me asking for it. I did eat the pasta, but I did not finish my rice or the beef patty. In this case not finishing my plate basically signaled that I did not want any more - he did try and come back offer me more food, but I had the unfinished food still on my plate so I had a valid excuse for not accepting his ever generous offer of fattening me up. #1b. So take that as a lesson. If you don't finish your plate it will be easier to limit how much you are eating when people try to give you more. #2a. Eat when you are hungry and do not eat when you are not hungry. This is an easy one to follow, in theory. The problem however is that many people have a tendency to crave snacks when they are bored. I am craving a snack right now while I am writing this, but I have the smarts to realize that I have spicy kimchi in the house. So I eat something spicy and suddenly I don't want to eat any more. Instead now I feel thirsty. And once I have drank something, I don't feel hungry any more. #2b. Spicy snacks are good - especially healthy spicy snacks. However filling up with water and spicy food is not always a solution. But healthy snacks in general make a great solution. #2c. Thus if your spouse is pushing a snack towards you and it is a healthy one - and you are hungry - then go ahead and eat it. If it is an unhealthy snack then try a small portion of it, provided you are hungry currently. If you are not hungry then say so. "I am not hungry right now." Easy. Their feelings will not be as hurt as you might think they are. #3. Know what you are eating. Know your enemy. If it tastes good, find out what is actually in it so you have a better idea of how healthy or unhealthy it is. Vegetables or fruits, it is probably healthy. If it is covered in sauce, gravy, sugar-coated or syrup then it is probably unhealthy. Knowing what things are good for you and what things are bad is half the battle. Exercising to get those "Rock Hard Abs"
#4. Don't do ab exercises if you cannot even see your abs under a layer of fat. Why? You will be basically wasting your time doing weightlifting exercises to build muscle, when what you really need to be doing is cardio exercises in order to shed fat off your entire body. You cannot lose fat through "spot treatment". Spot treatment works for building muscle, it does absolutely nothing for losing fat. If you want to lose fat, then you need to be doing cardio exercises. #5. When it comes to cardio exercises the more intense, the longer the duration, the better they will be at shedding fat from your body. It is really all about burning as many calories as you can during your workout period - and the longer your workout is, the more intense it is, then obviously you will be burning way more calories. Thus running burns more calories than jogging, but if you can only run for short periods of time then jogging can actually burn more because you can jog for longer distances and longer periods of time because of the sheer length of time. Running for 3 minutes vs jogging for 10 minutes, which do you think burns more calories? The answer is jogging. So imagine how much more you will burn if you jog for 57 minutes and the sprint for the last 3 minutes? #6. Learn how to alternate high intensity exercises with low intensity exercises. This is actually really simply. Walk for 3 minutes, run for 1 minute, walk for 3 minutes, run for 1 minute, continue doing this for 60 minutes total. What is the benefit of this? It boosts your heart rate dramatically and gets the Afterburn Effect going. If you can trigger the Afterburn Effect you can burn double the fat for your efforts. Your metabolic rate goes up, you feel energized, your body starts burning fat stores like crazy, you don't feel hungry as much. This is a great way to burn fat in a hurry. #7. 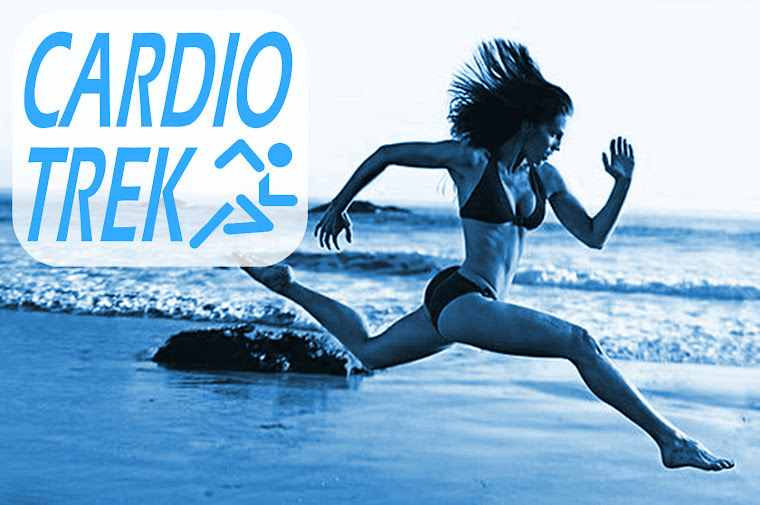 Pick cardio exercises that you love doing. eg. If you love bicycling, then you need to be doing that more often. Every day if you can. Find exercises that you love to do and then keep doing them as often as possible. For me, my favourites are archery, boxing and swimming. And in the winter I also enjoy ice skating. But for you? What are your favourites? #8. Learn to control your own cravings. Sometimes it is not the spouse or significant other or relative who shoveling food in your direction. Sometimes it is you that has lost control. This means you need to control your own cravings, learn to measure your intake of food - and learn to make smarter choices with what you are eating. The real trick here is realizing that you have self-control and that it is not the cravings that control you. It is you who makes the mistakes of giving in to your cravings. You still have control, but many of us choose not to exercise that control. 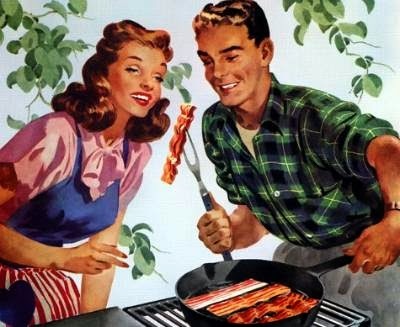 It is not like the bacon has you in an arm lock and is forcing you to eat the bacon. You can choose not to - and you can also choose to eat 2 or 3 pieces and then stop at that small portion instead of eating the entire package of bacon. #9. When faced with a enabling crisis (whether you are doing it or someone is giving it to you) what you need to do is ask yourself what do you want more? That pound of crispy bacon stacked high between two slices of bread, in what is an unholy combo of carbs and grease? Or that body you've been wishing you had but have always lacked the willpower to go after it? You can choose to eat smaller portions, you can choose to exercise more, you can choose to make lifestyle changes - permanent ones - that ultimately benefit you in your goal. It is a choice. #10. Don't blame others for your downfall. Nobody is force feeding you. Yes, there are family members and friends who act as 'agents of enabling', but they are not forcing you to eat the things placed in front of you. You choose to do that of your own free will. Blaming them is just an excuse. You need to take responsibility for your own actions and then act accordingly. You are not overweight because someone else is forcing you to eat and not exercise enough. You are overweight because you make a choice to eat too much and then not exercise enough to burn off the extra calories. And burning extra calories takes extra work. Stick with it for longer periods of time. Don't give up easily just because the process is more difficult than you thought it would be. Find ways to make exercising fun. Stop worrying about the food your family members or friends push in front of you. If you make the effort, you can eat healthy, lose the fat, and achieve real change. And then once you can actually see your abs then you know you are ready to do ab exercises to make them stronger and "rock hard". Are you a senior over the age of 65 and live in Toronto? This Seniors Discount is in addition to the discount rate for ordering 3 or more sessions. Note - In August 2015 I lowered my age requirement for the Seniors Discount from the age of 70 to the age of 65. For a limited time I also offered a Triple Seniors Discount of 15% off archery lessons during September and October 2015. Question #1. What is a good beginner bow for someone who is new to archery? Answer. Any 3-piece recurve bow is a good starter bow for someone who is just getting into archery. 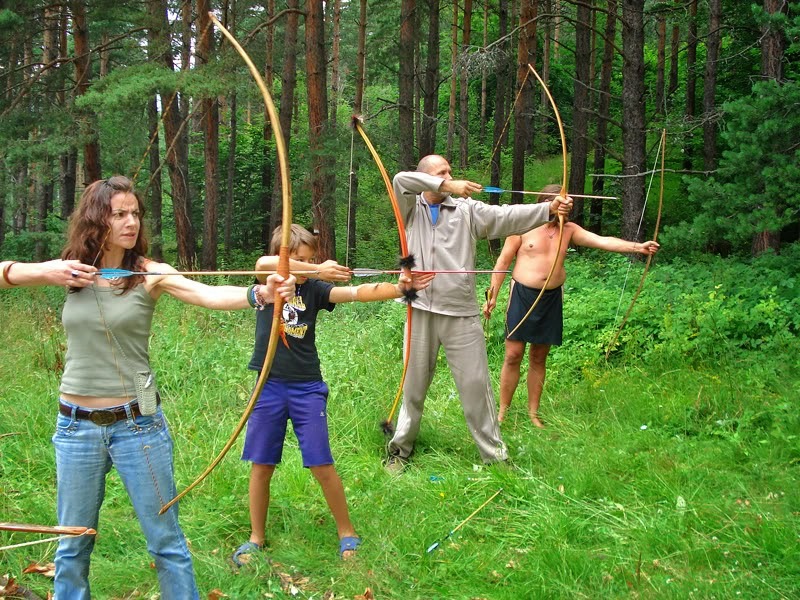 I don't recommend compound bows, longbows, traditional horsebows or Olympic recurves for beginners. Compound bows require extra attention to safety and how to tune them properly. Longbow stance is more difficult than recurve and people really should learn recurve stance before learning longbow stance. Traditional horsebows and similar shortbows are great historical examples of traditional recurves, but a person would still be wise to learn recurve first before jumping into the deep end of the pool. And Olympic recurve is really unnecessary for the vast majority of shooters who are doing archery for fun. Olympic is all about using gadgets to try and get as much accuracy as you can out of the bow and like compounds you need to know how to properly tune those gadgets - and again, you really should learn to swim before jumping into the deep end of the pool. Regarding brands, 3-piece recurve bows are all basically the same except for looks. Ragim Matrix, Samich Sage, Jandao, PSE, Hoyt, Bodnik and 50+ other brands all make basically same bow. Minor differences in colour, shape and materials. Question #2. How should I select which kind of arrows are right for me and right for my bow? Answer. It all comes down to the spine flexibility of the arrow. Follow the steps below to find which spine is right for your arrows. First, determine your draw length when pulling back to your anchor spot. (If you don't know what your anchor spot is, maybe you should get archery lessons first.) You will want to get arrows approx. 1 inch longer than your draw length. Next, determine the poundage of your bow at that draw length. eg. If your bow is a 28 lbs @ 28 inches draw, then it should be roughly 1 lb of pressure per inch. So if your draw length is 26 inches you will need to get 27 inch long arrows that are good for a bow that is 26 lbs since your draw length is a bit shorter. Next you will Google the words "arrow selection chart" (see graphic below for an example) and consult various manufacturers charts. 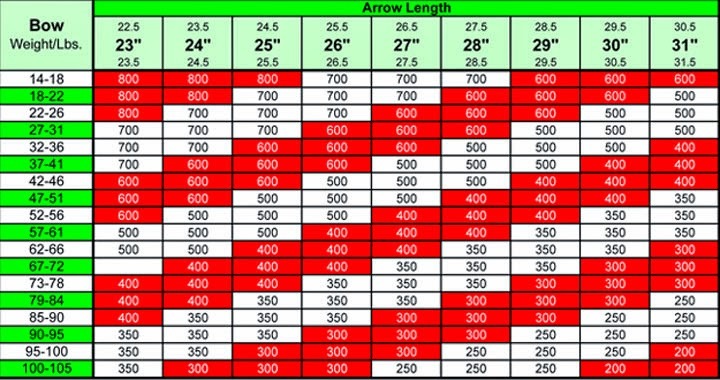 Use the charts to find out which type of arrow are good for someone using that draw length and that poundage. The brand name arrows and model numbers will typically have a 3 or 4 digit number on the arrow somewhere showing the range of uses it is good for. So using our example above, someone with 27 inch arrows and pulling 26 lbs will want "600" spine arrows. Then order the arrows online or visit a local archery shop that makes custom arrows on order, and get yourself the arrows that suit you best in the fletching that you want. Question #3. Which are better? Tabs or finger gloves or trigger release aids or thumb rings? Answer. Whichever feels best for you. Archers are all unique and choose what they want to. Generally speaking compound shooters use mechanical release aids, Olympic recurve shooters use tabs, and super traditional archers use carved bone/antler thumb rings... Myself I prefer good ol' finger gloves and I sometimes shoot without gloves at all - barehand shooting. It hurts the fingers more, so it is not for everyone. Try not to get too hung up on having the perfect / most expensive equipment. Any archer worth their salt has been doing archery for years and knows it is not the equipment that makes the big difference, it is the archer's training, experience and ability to focus on the task at hand. An old archer with their bow should be like an extension of their arm. Thousands of hours of practice has taught them what to do to get the most accuracy out of the extension of themselves. Equipment won't teach you that. Get equipment that works, practice-practice-practice, and everything else will fall into place. I have already written a post on the topic of How to do Archery in the Wind and Rain before, so you may want to read that one first. What I am writing here is more advanced skills for succeeding at archery during even more horrific weather conditions. I do struggle to imagine when a person might use such skills, such as maybe bowhunting during a rainstorm, windstorm, etc. If it was a competition I would wager they would just reschedule the competition for the next day. Included below are some basic archery tips for shooting in wind and rain, mixed in with more advanced skills. #1. Practice on rainy and windy days - the rainier and windier the better. The more practice you get the better you will understand how to shoot in adverse weather conditions. #2. Dress for the weather conditions. Clothing that keeps you warm and dry, water resistant hoodies, rain jackets, pants that don't flap in the wind, boots that are waterproof, double socks for warmth, etc. #3. Water resistant sunglasses or glasses. Why? The water will run off them faster instead of collecting in droplets. If you wear glasses, you will want these when shooting in the rain. #4. Don't fuss about the rain. REVEL IN IT. Enjoy this opportunity to learn how to shoot in horrid conditions and you will be better for it. Don't let the weather put you in a foul mood. Let it uplift and make you excited to try something new and challenging. #5. Have fun. Experiment with shooting longer distances than you normally do, fast shooting, shooting while kneeling in the mud, etc. Having fun while shooting will allow you get rid of your fears of the rain and give you confidence when it comes to future events when you need to be able to shoot in the rain. #6. Learn to adjust your shots during heavy rain. Typically you need to aim a few inches higher. #7. Keep your arrows dry until you are ready to shoot. Your fletching will get wet and clump together. They will fly better if they are not soaked. #9. Bring a towel. Honestly, you will need it. #10. Bring an umbrella. Well worth it just to keep warm. #11. 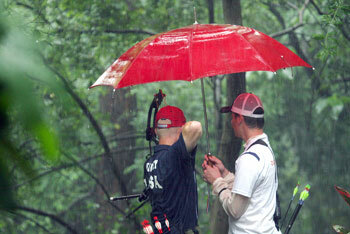 Bring a friend, someone who is willing to hold the umbrella for you while you shoot. #12. During windy conditions use a wider stance to help keep yourself still so the wind doesn't blow you around so much. #14. Learn to shoot without fletching on your arrows. This will be a good learning experience so you learn what happens when there is no fletching. #15. Learn to shoot in-between wind gusts for increased accuracy. #16. Watch the grass or trees (or a wind sock) to give you a better idea of when it is gusting and when it is not. #17. Do yoga and body weight exercises to give you better balance during windy conditions. #18. Tie a ribbon or feather to the bottom of your bow, to give you a better idea of wind direction and gusts. #19. Learn from your mistakes. #20. Learn from your clusters where to aim. #21. Adjust for shifting wind conditions - be vigilant and learn to aim in a different direction depending on what the wind shifts to. #22. Stay hydrated. Yes, you are surrounded by wind and rain, but being dehydrated internally won't help you. Many archers forget to stay hydrated even on hot days. #23. Make sure you slept well the night before and are well rested. Your balance will be better if you are well rested. #24. 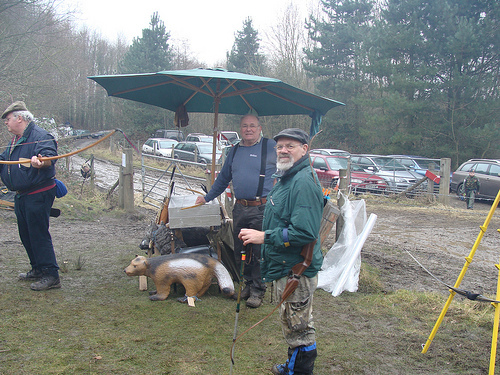 Shoot in wind and rain for longer periods of time (eg. 4 to 6 hours). The longer you shoot the more used to the wind and rain conditions you will become, making you more in tune with how to shoot in such conditions. Shooting for 30 minutes and then going home is not enough time to kickstart your learning process. #25. Bring hot tea with you. Avoid coffee and things with caffeine in it. Hot tea will keep you warm, whereas caffeine will make you jittery and make your brain jumpy - which slows the learning process. #26. Take a hot shower after your archery session is over. This is more for health reasons, so you don't get sick. Drink some hot tea too to warm up your body temperature. #27. Eat fruit - releases fructose sugars into your blood slowly and raises your blood sugar / energy levels slowly, which is what you will need. Avoid white sugar, brown sugar or sugary foods. #28. Take up bowfishing - and wade into the water while doing bowfishing instead of standing on a dock or in a boat. Get used to the water and shooting while in the water and cold / shivering. #29. Practice even in the winter - in cold, windy, snowy conditions. If you can practice in cold conditions then you can learn to shoot in any weather conditions. #31. Take up Zen meditation. I recommend the book "The Unfettered Mind", which is a series of letters written by a Buddhist monk and sent to samurais, but the concepts he discusses applies to archery too. #32. 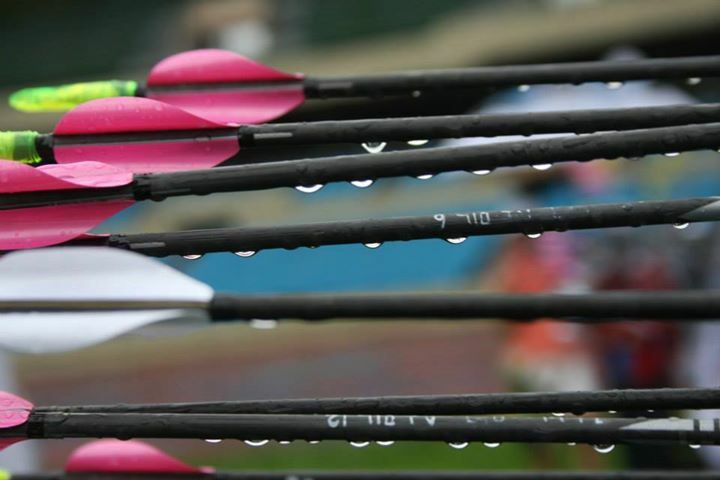 Practice archery daily, regardless of wind, rain, fog, snow, mud, low light conditions. #33. Practice archery at night sometimes, even during wind and rain on a cold dark night. Learn to shoot at night and shooting during the day will seem easy. #34. 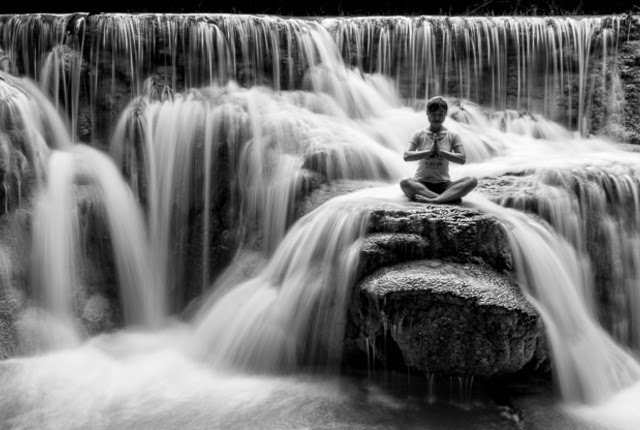 Learn to block out distractions and yet still be in tune with your surroundings. Food for Thought: You sense the rain, but don't feel the rain. It is the difference between sensing something and becoming distracted by something. #35. Always look to challenge yourself. Remember wind and rain is just an extra challenge. Learn to accept and embrace challenges by trying new things, not just in archery but in life in general. You will be more mentally prepared for a challenge if you learn to accept every day challenges as a learning experience. While many people experience back pain, chronic back pain is actually more like a sports injury like tennis elbow. Why? Because often chronic back pain can be solved through proper form while lifting objects, more exercise, diet, sleeping positions and more. Below is a list of causes for chronic back pain - and their solutions. The Solution - Practice good posture when sitting, standing and even sleeping. For added benefits take up yoga to build stronger core muscles. The Solution - Practice proper form while lifting things (lift with your legs and your back straight), even when lifting small objects. When in doubt, let someone younger and fitter carry it for you. Wearing a back brace is also a smart idea to help prevent injury. 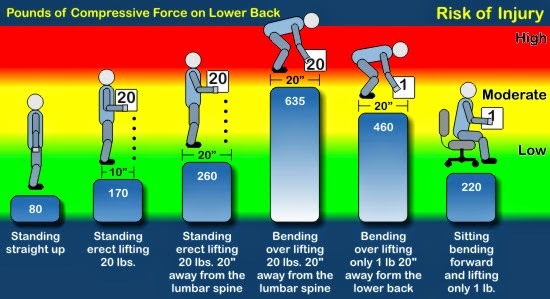 Even lifting small objects improperly can put a lot of strain on your back - unnecessary strain. So if you drop your toothbrush, bend over without thinking and pick it up improperly you can still hurt your back - not because of the weight of the toothbrush, but because of the weight of your upper body. The Solution - Go for daily walks, cut back on the sweets, keep doing this until you attain your ideal weight. 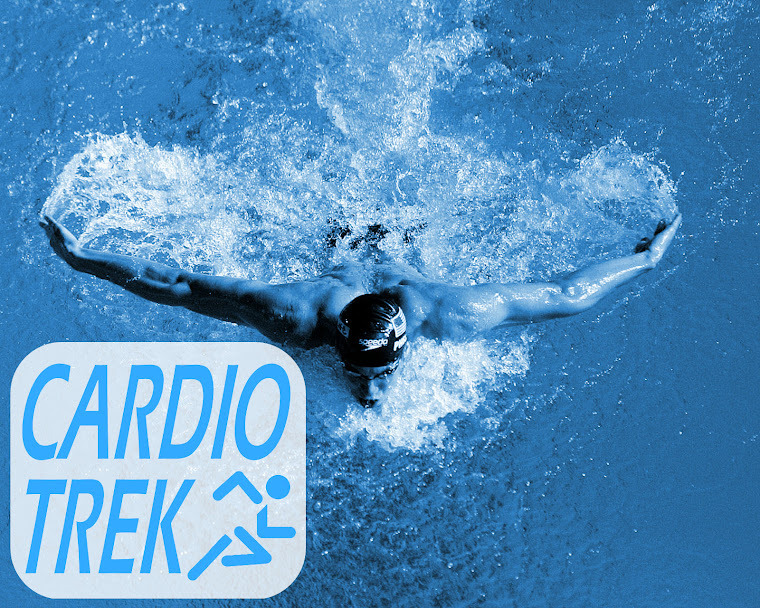 Also try swimming, cycling and other cardio exercises to help you lose weight. 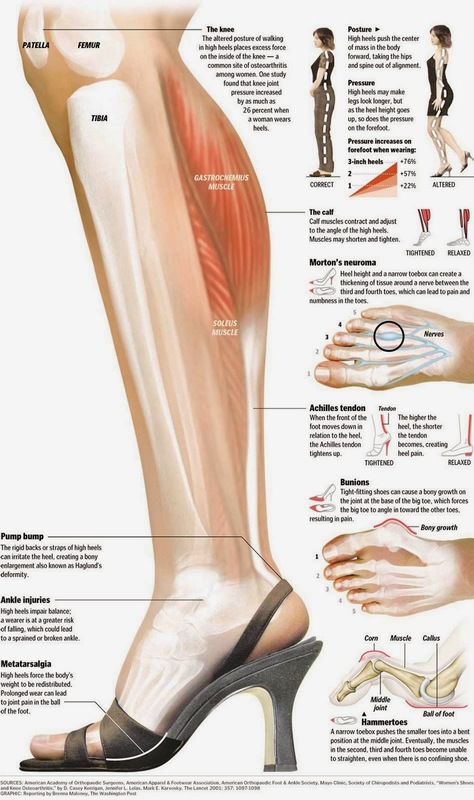 The Solution - Stop wearing high heels. Wear flats with cushioning instead. Take up yoga to help correct muscle imbalances in your back. The Solution - Seek medical treatment from a back / spinal specialist. Note: Sadly the above two can only be solved with the help of doctors and trained specialists. The Solution - Buy a better mattress that supports your back better. Research proper sleeping positions that won't damage your spine. The Solution - Experiment with different solutions above until you find something that works. I recommend starting with practicing good posture, taking up yoga and sleeping in better positions that are good for your back. Many people have poor posture / sleeping positions and don't realize it. The Solution - Regular exercise and a healthy diet will keep you younger longer and give your spine more longevity. Walking, yoga, light weight lifting with proper form can all help you keep you feeling younger and build bone density. "Nobody can make you feel inferior without your consent." "It's not who you are that holds you back, it's who you think you're not." "I'm not old enough to play baseball or football. I'm not eight yet. My mom told me when you start baseball, you aren't going to be able to run that fast because you had an operation. I told Mom I wouldn't need to run that fast. When I play baseball, I'll just hit them out of the park. Then I'll be able to walk." - Edward J. McGrath, Jr.
"You have to expect things of yourself before you can do them." "Always act like you're wearing an invisible crown." 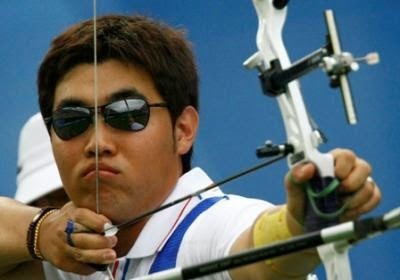 Below are quotes from 'legally blind' Korean archer Im Dong-Hyun. 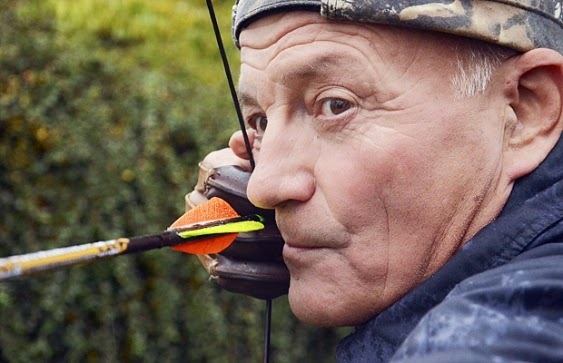 In the quotes he describes how he does archery, despite being barely able to see the target. "Archery requires very sensitive muscles." "If I couldn't see the colors, now that would be a problem." "Archery is not a sport for everyone. The equipment costs a lot, and it is not easy for everyone to find a place to play. It is perhaps similar to golf, but of course there are more golf courses than archery fields." "I used to play football at school, and I enjoyed really physical sports, but I now try to avoid any sports that might build up different muscles. That might have a negative impact on my archery." "For me, seeing the target and not seeing the target doesn't make any difference." "I had a strong desire to become an archer from the very first time I tried it. I forgot my other ambitions. I just wanted to compete in the Olympics." "I try not to push myself too hard, but I also need to perform and earn the results." "When I look down the range at the target all I can do is try to distinguish between the different colors."